Whether it’s for 20 minutes or 20 days, the Tucson Airport Authority has more than 7,500 parking spaces in six locations convenient to the terminal. 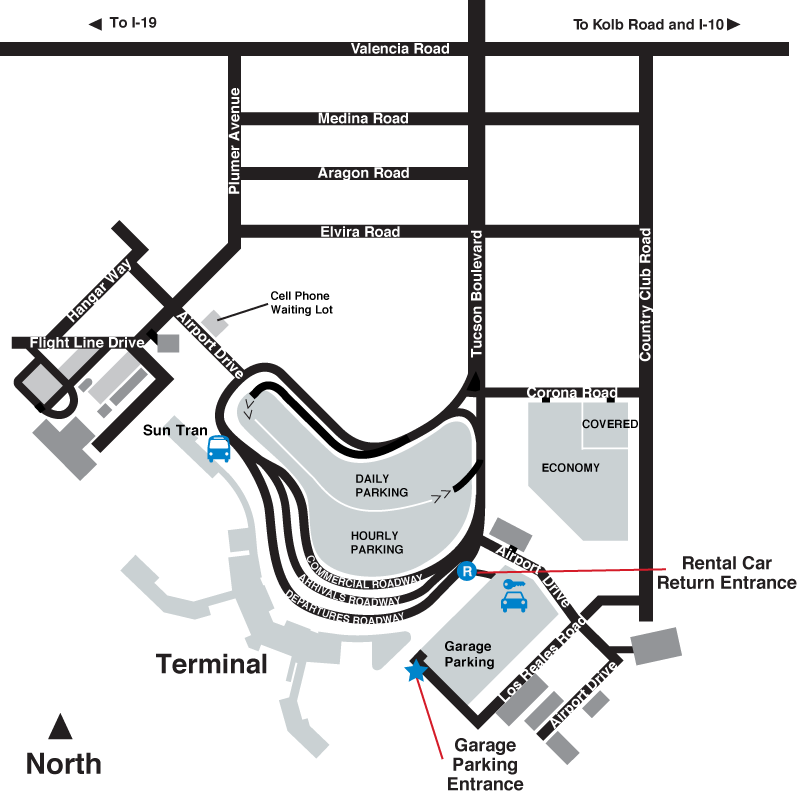 TAA parking facilities and shuttles operate 24/7. Rates include taxes. TAA does not charge add-on fees. 447 spaces under solar canopies intended for short-term parking directly in front of the terminal. Rates: $1 for up to the first 30 minutes and then $1 per 30 minutes to a maximum of $13 per day. 918 spaces under solar canopies intended for long-term parking, adjacent to the Hourly lot in front of the terminal. Accessible parking spaces for handicapped are not available in this lot. 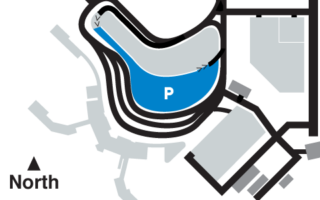 Instead customers may use the accessible spaces in the Hourly lot. Please show your handicapped placard on departure to receive the lower rate that would have applied in the Daily lot. Accessible parking spaces are also available in the Garage. Rates: $2 per hour up to a maximum of $10 per day. 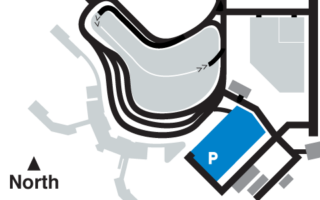 605 spaces for either hourly or long-term parking, adjacent to Car Rental Center east of the terminal. 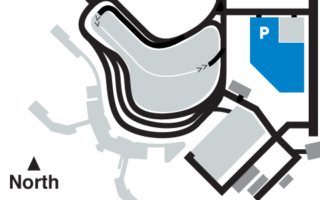 Enter from Los Reales Road (Country Club Road) or follow the signs from the terminal departure level. Rates: $3 per hour up to a maximum of $10 per day. 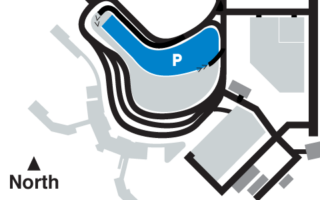 303 spaces for long-term parking with complimentary courtesy shuttle available 24-hours a day immediately east of Economy Lot on Corona Road. 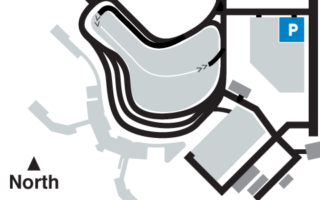 28 spaces, off Airport Drive immediately west of the approach to the Terminal Building. Rates: Free but driver must remain with vehicle while waiting for arriving passengers. EasyPay offers parking customers the option to pay with a credit or debit card and depart using automatic exit gates. Before returning to your vehicle, insert your parking ticket at an EasyPay station outside Baggage Claim on the lower level or near the elevators inside the Parking Garage. EasyPay devices are also located at the automatic exit gates from the Hourly, Daily and Economy parking lots. EasyPay accepts Visa, MasterCard, Discover and American Express. The exit gates of the Hourly, Daily and Economy lots are also staffed with cashiers for customers who prefer to pay cash. The exits from the Parking Garage are unattended but the EasyPay devices there also accept cash.